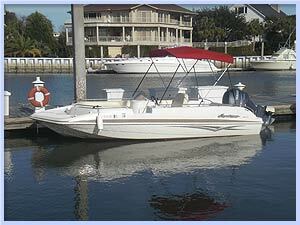 If you would like to explore the beautiful waterways surrounding the Isle of Palms, a boat rental from Lowcountry Boats Rentals is the perfect solution. Take a cruise down the Intracoastal Waterway, picnic on one of our barrier islands, fish, or just relax and enjoy the beautiful scenery. 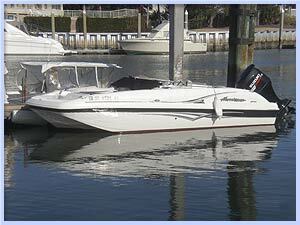 We offer a variety of boats for all types of activities. 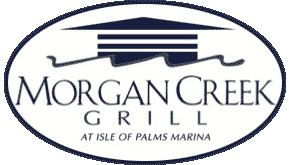 We are located at the Isle of Palms Marina. Want to rent a boat but don't have much experience? Try one of our Charters, our Coast Guard Certified Captains will let you do all the driving. Just leave the tricky stuff (Docking navigation) to us. You get all the freedom of a rental with out the stress. Also take advantage of you Captains vast knowledge of the area. He will show you all the "good spots" to go. Choose from harbor cruises and sunset cruises Dining cruises to historic Shem Creek Night fishing Adventures to Cape Romain National Wildlife Refuge Dolphin watching Crabbing Picnic cruises Kid’s adventures Combine any of these adventures or create one of your own! 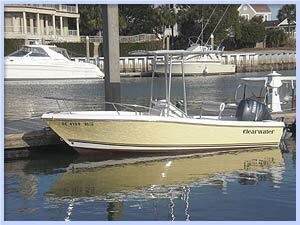 We offer a variety of 16’ to 25’ boats for rental including dual consoles, center consoles, and deck boats. Our boats can accommodate up to ten (10) people and can be rented hourly or daily. Discounted rates are given for half day, full day, or multiple day rentals. All boats are equipped with all U.S. Coast Guard required and approved safety equipment, a VHF radio and local chart. No prior experience is necessary to rent a boat. Advance reservations are highly recommended. See rates below.